Our top selection is the amazing Boss ME-80 Multi Effects Pedal! 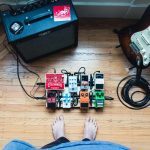 Looking for the best multi-effects pedal for your style of playing in 2019? Want to expand your guitar toolkit with a range of new effects? Multi-effects pedals or ‘all in one units’ combine a huge range of effects into a single pedal, letting you experiment with everything from distortion to delay, reverb, pitch shifting and more without having to buy separate effects pedals. 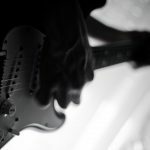 Just like other guitar gear, multi-effects pedals can range in price from cheap, simple and ideal for beginners to very costly gear designed with advanced guitarists in mind. Below, we’ve put together a list of the 20 best multi-effects pedals available right now. Our list covers everything from ultra-budget pedals designed for beginners to studio-quality amp sims and digital effects equipment designed with the needs of professional musicians in mind. The smallest, least expensive version of Line 6’s famous POD amp simulator and multi-effect pedal, the Pocket POD packs 16 effects, 32 amp models and 16 speaker cabinet models into one of the smallest multi-effects pedals you’ll ever see. Small enough to fit inside your hand, the Pocket POD easily slips into the front pocket of your gig bag, making it ideal for taking to and from rehearsals. Despite its tiny size, it’s a well-made device, with a strong feel and knobs, buttons and an LED display that all work flawlessly. From a sound perspective, the Pocket POD offers many of the same effects and amp options you can find in the larger, more expensive POD models. There’s even USB connectivity to let you connect the Pocket POD to your PC and keep it updated with the latest software. All in all, the Pocket POD is a great multi-effects pedal for beginner guitarists, as well as one of the best ultraportable effects units for enthusiasts. If you’re looking for a compact pedal that has a range of great-sounding effects, the Pocket POD is sure to satisfy. 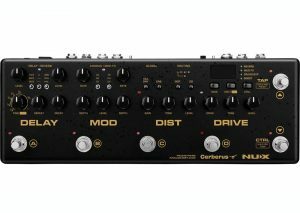 Designed for the studio or the stage, the NUX Cerberus is one of the best multi-effects pedals you’ll find for less than $500. This is a premium multi-effects pedal, with a great build quality and a tough, durable feel. While it’s not a small pedal by any means, it’s still compact enough to fit onto your pedal board without taking up any unnecessary space. The NUX Cerberus featured 16 different effects, ranging from delay to reverb, chorus, overdrive and distortion. There are also 128 different presets, letting you choose from a massive range of tone options to suit your sound and playing style. Add additional features like an integrated loop switcher, IR loader, kill dry function and 0-20dB volume booster into the equation and the Cerberus packs a huge range of different options into its metal shell. All in all, this is a great multi-effects pedal for serious players. While it doesn’t offer the massive number of effects of Boss and DigiTech pedals, the build quality, sound quality and overall feel make this a pedal that any serious guitarist should consider. 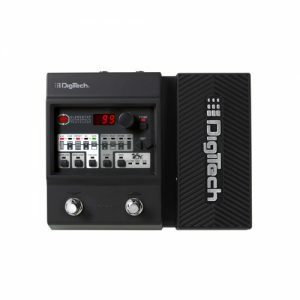 DigiTech is famous for producing some of the best multi-effects pedals on the market, both with budget-friendly and premium price tags. The Element XP falls into the former category, with a budget-friendly price that makes this one of the best multi-effects pedals available for beginner guitarists looking for a variety of unique effects. All in all, the Element XP includes 58 different effects, ranging from stomp boxes (there are 37 different effect pedals alone) to 12 amp models and a total of nine different speaker cabinets to choose from. There’s also a chromatic tuner, expression pedal (for use with the wah and other effects), drum machine and countless other features. In short, this pedal packs everything you need to experiment with different effects into a small, high quality package. While it won’t win any awards for sound quality, the Element XP delivers all of the effects a beginner to intermediate-level guitarist needs. Designed for budget-conscious guitarists, the Pyle-Pro PPDLA1 packs a variety of effects into a compact enclosure, all with a price that any guitarist can justify. These effects range from the usual distortion and overdrive to delay and chorus, giving you all of the options you need to expand your sound and match the tone of your favorite guitarists. Each effect it managed by one of four separate switches, making it easy to switch sound at will. While the Pyle-Pro PPDLA1 scores well for features, it has some build quality issues that make it tough to recommend. Numerous customers have reported issues with the PPDLA1’s reliability, with some reporting that the pedal occasionally switches off or stops working completely. The PPDLA-1 comes with a one-year warranty, meaning you’ll be somewhat protected if yours has reliability issues. Our advice? For the price, it’s an interesting multi-effects pedal. However, if you’re looking for quality and durability, you’re better off with another one of our options. 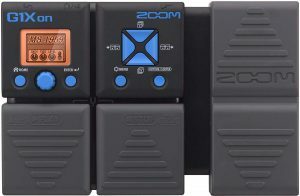 Along with Boss and DigiTech, Zoom is one of the biggest names in digital effects pedals and amp simulators. 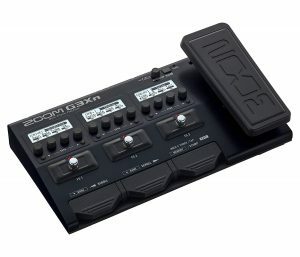 The G3Xn is one of Zoom’s mid-range offerings — a well-made multi-effects pedal that packs upwards of 68 effects into a compact, durable enclosure. There’s everything you need here, from the usual distortion and overdrive to delay, reverb, phasing, chorusing and more. Most of these effects sound very good. 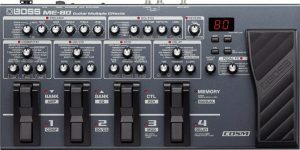 While the quality won’t quite match a bunch of separate effects pedals, the G3Xn’s effects sound fairly natural and lack the “plasticky” sound that’s often common with digital multi-effects pedals. The G3Xn also includes five amp emulators, five cabinet emulators and 75 custom patches to make perfecting your tone a breeze. There’s also a built-in expression pedal, letting you control effects like wah and volume. As you’d expect from Zoom, the G3Xn is a quality product. If you’re looking for a versatile, high quality multi-effects pedal that you can buy for a reasonable price, the G3Xn definitely deserves a place on your “to consider” list. 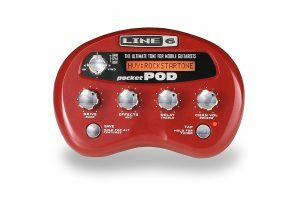 Over the years, the Line 6 POD has grown from a plastic, bean-shaped effects toolbox into one of the most powerful amp simulator and effects platforms available. The POD HD500X is one of Line 6’s best products — a comprehensive, world-class multi-effects pedal and amp simulator in one. If you’re looking for a studio quality multi-effects pedal that you can use live or while recording, the POD HD500X is what you’re looking for. Before we get into the features, let’s cover the build quality. The POD HD500X has a durable metal exterior that’s designed to take the hits and tolerate the abuse of a live show. The dials, switches and expression pedal are all solidly built, durable and have a premium feel. All in all, the POD HD500X contains more than 100 studio and boutique effects, ranging from delays, filters and reverbs to a huge variety of different distortion effects. Most of these effects sound flawless, with an overall tone that’s comparable to buying separate stompboxes. Beyond the effects, the POD HD500X also contains a huge variety of amp and speaker models, making it easy for you to match the gear setups and tone of your favorite guitarists. Add a USB port (for easy computer control) into the equation and the POD HD500X really has everything. Simply put, if you’re looking for a multi-effects pedal and amp simulator that doesn’t make any compromises on sound quality, the POD HD500X is it. While this pedal isn’t cheap, it delivers incredible value for money when you consider its versatility, sound quality and sheer power. Another great premium multi-effects pedal, the Boss ME-80 offers a huge range of effects, amp models and preamps in a compact but durable enclosure. There’s even a USB connection port, making it easy to control the ME-80 from your computer. Like the Line 6 POD HD500X, the Boss ME-80 is designed for serious guitarists that need high quality effects, all without the inconvenience of chaining a variety of stompboxes together. The ME-80 includes a ton of different effects, from octave, de-fretter and sustain effects to pitch shift, chorus, tremolo, flanger, phaser, harmony effects and more. 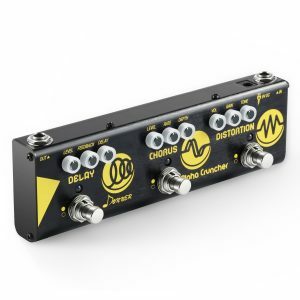 There’s also the usual delay, volume and wah, plus a massive selection of different overdrives and distortions. Then there’s the amp modeling. The ME-80 includes a huge selection of preamps, from classic tweed amps to modern metal-inspired stacks. Simply put, if you want to model every amp you’ll ever need to play, the ME-80 is probably for you. From a sound quality standpoint, the Boss ME-80 doesn’t quite match the tones offered by the Line 6 POD HD500X. However, it’s pretty close. It’s also significantly cheaper, making this one of the best pedals around for intermediate or advanced guitarists seeking value for money. All in all, the ME-80 is a great multi-effects pedal and amp simulator that exceeds expectations, all while offering excellent value for money. Introduced in 2008, the Rocktron Utopia G200 is an older multi-effects pedal that still delivers a great variety of tones. Despite its age, the G200 performs well, with classic delay, flanger, noise reduction and several other effects. There’s also an expression pedal, letting you control effects like wah to your liking while you play. From a sound quality perspective, the G200 is a great piece of technology. The effects on offer sound natural and impressive, with sound quality that’s comparable to more expensive pedals from Line 6 and Boss. There are only two real weaknesses of the Utopia G200. The first is its design — compared to newer multi-effects pedals, the switch layout and controls of the G200 aren’t exactly flawless. The second is its amp simulator options. This is a multi-effects pedal first and an amp simulator second, meaning the four basic preamps on offer aren’t anything to write home about. 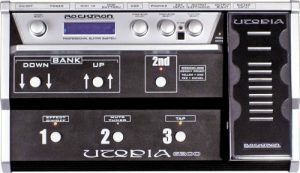 Overall, the Rocktron Utopia G200 is a good buy if you’re looking for high quality effects in an extremely well made package and don’t mind a slightly older design and limited variety of amp simulations. The Keeley Dark Side Workstation packs a great selection of analog effects (yes, you read that right, analog effects) into a compact stompbox that’s easy to fit into your studio or live setup. 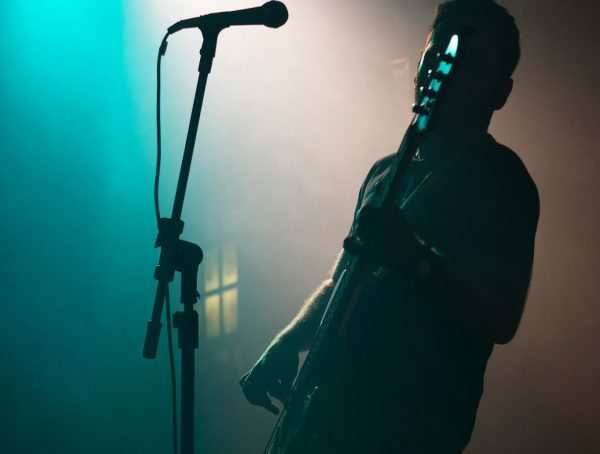 Unlike 99% of multi-effects pedals, which use digital effects, the Dark Side is completely analog, meaning you get the old-school, classic and natural sound you’ve heard on albums, at concerts and in other performances from well-known artists. Because of this, the effects on offer are a little limited compared to most digital pedals. There’s a flanger, a phaser and a multi-head delay effect, giving you a small variety of sounds to pick from while you play. As you’d expect from an analog effects pedal, all three effects sound great, with a natural sound that even the best digital pedals simply can’t match. 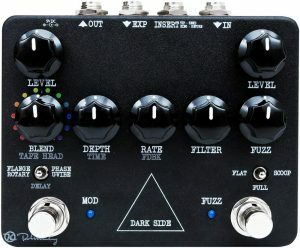 If you’re an analog enthusiast and you only need delay, flanger and phaser effects, the Keeley Dark Side is an excellent buy. 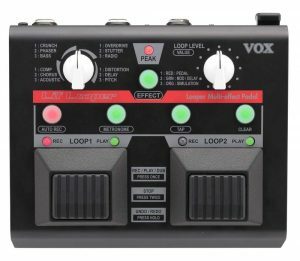 The VOX VLL1 is a multi-effects looper pedal that lets you create and play guitar loops with a variety of effects applied. From an effects perspective, the VLL1 includes almost everything you need to produce unique recordings and live performances. There’s the usual crunch and overdrive, as well as a phaser, chorus, acoustic, delay and pitch shift effect, plus a few more options. The VLL1 can record up to 90 seconds of sound on two separate loops, all with overdubbing via its undo/redo feature. Whether you’re playing live or creating unique sounds in the studio, this is a great tool that you can use to produce cool harmonies, rhythms and looped melodies. From a build quality perspective, the VLL1 is exactly what you’d expect from Vox — a well-made, reliable piece of gear. If you’re looking for a high quality looper pedal that also includes a variety of effects, you’ll find a lot to like about the VLL1. Compact, simple and affordable, the Behringer FX600 combines delay, phaser, chorus, flanger, pitch shifter and tremolo effects in a single stompbox. Aimed at budget-conscious guitarists, the FX600 is an ideal effects pedal for beginners looking to experiment with different sounds. The effects sound good for a pedal at this price, although some have a slightly artificial, digital sound to them. Controlling the effects on the FX600 is easy — just select the effect using the right dial, then use the parameter controls to adjust its intensity and sound. As you’d expect from a budget pedal, the FX600 cuts a few corners to justify its price. The most noticeable is its all-plastic construction. Although it’s a thick, fairly sturdy plastic, this really isn’t a pedal you’d want to use live — instead, it’s better to opt for a metal stompbox. All in all, this is a great budget effects pedal for beginner guitarists who want to experiment with flanger, chorus and other effects without buying separate stomp boxes. Although the sounds on offer aren’t world class, they’re more than good enough considering the budget price tag. 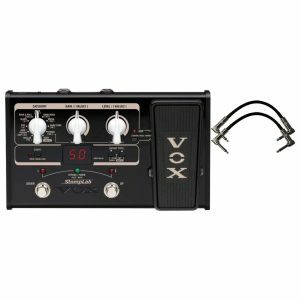 The Vox StompLab IIG is a mid-sized multi-effects pedal that packs in a ton of features, all at a very reasonable price. Available for a third as much as high-end pedals from Line 6 and Boss, the StompLab IIG is a great option for intermediate-level guitarists. In total, there are 100 preset programs included with the StompLab IIG, with 103 different types of modeling effects. You can save up to 20 of your own user programs, making it easy to add in your favorite effect and amp combinations to create your own sound. From a sound quality perspective, the StompLab IIG doesn’t quite match similar offerings from Line 6 and Boss, but it still works well. From a build quality perspective, the StompLab IIG feels more than strong enough for use live as well as in the studio. Overall, the Vox StompLab IIG is a great multi-effects pedal for the price. It packs a ton of cool, unique effects into a compact, affordable package, all with great features such as an expression pedal and headphone output. 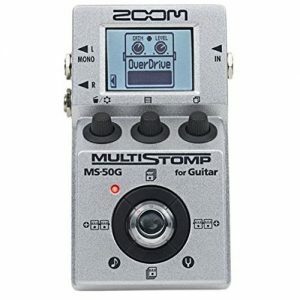 If you’re searching for a stompbox-sized multi-effects pedal that doesn’t sacrifice any features, you’ll love the Zoom MS50G MultiStomp. Similar in size to the average distortion pedal, the MS50G includes more than 55 different effect types. You can use up to six effects at the same time, making it easy to combine effects such as distortion with delay, chorus, flangers, phasers and other unique sounds. The MS50G comes with 30 preset patches, letting you choose from a huge range of sounds the second you plug in the pedal. There’s even a built-in chromatic tuner, making it easy for you to tune your guitar in between rehearsals, in the studio or on stage. As you’d expect from a compact, affordable effects pedal, the sound quality of the MS50G isn’t quite studio-level. 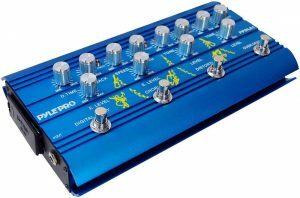 However, most of the effects sound comparable to other effects pedals in the same price range, all in a compact, user-friendly design that easily fits into your guitar case. 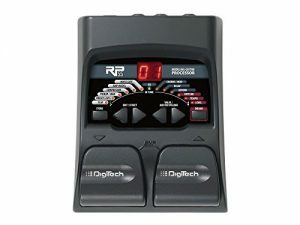 Packed with effects and sold at an extremely budget-friendly price, the DigiTech RP55 is one of the best multi-effects pedals on the market for beginners. The RP55 includes 20 different effects, ranging from chorus and reverb to delay, distortion and more. There are also 11 different amp models, letting you play everything from blues to classic rock, hard rock and metal. The RP55 also has a built-in drum machine with 30 different patterns, making it a useful pedal for your home studio or practice room. As you’d expect from an ultra-budget multi-effects pedal, the sound quality offered by the RP55 isn’t world class. However, that’s not really the point — if your goal is to experiment with a huge variety of effects without spending much, this pedal is one of the best you’ll find. All in all, the RP55 is a great multi-effects pedal for beginners and budget-conscious guitarists looking for a variety of fun, unique effects in a form that won’t break the bank. Another great multi-effects pedal from Zoom, the G1Xon includes 75 different effects, all with their own unique control and customization options. There are also 14 amp models included, letting you cover every genre under the sun with a convincing, natural-sounding tone. The G1Xon is priced well under $100, making it one of the best low-cost multi-effect pedals on the market. For the price, it offers a massive range of great features, including the ability to use five different effects simultaneously. Add an expression pedal (you’ll use it often for the built-in wah effect), 100 memory locations and a simple, user-friendly design into the equation and the G1Xon stands out as one of the best multi-effect pedals available for beginners. Overall, for the price, the G1Xon is extremely difficult to beat. If you’re looking for something that’s a step up in sound quality and comprehensiveness from the DigiTech RP55 without an overly large leap in price, the G1Xon is a fantastic choice. 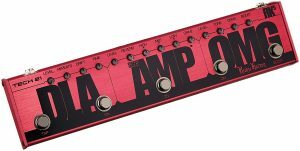 The Donner Alpha Cruncher features three different effects, each with their own stompbox-style controls. There’s a delay effect, a chorus effect and distortion, with the distortion packing a 70s and 80s tone that’s great for hard rock guitarists. This is a small pedal, making it easy to fit onto your existing pedalboard. It’s made entirely from aluminium-alloy, giving it a durable feel. If you’re looking for something solid and study to use for gigs, the Alpha Cruncher definitely lives up to expectations. From a sound quality perspective, the delay and chorus effects on the Alpha Cruncher are very good. While they don’t quite match what you’d get from individual stompboxes, both offer a fairly natural, non-digitized sound that sounds good live or on recordings. The distortion is a 70s/80s hard rock sound, which some guitarists will love but others might not find hard enough. If you’re looking for an ultra-high gain, thrash metal sound, the distortion here probably isn’t going to be enough for you. With that said, the Alpha Cruncher is a great pedal. If you’re looking for a combination of delay, chorus and classic/hard rock distortion in a compact design, you’ll definitely enjoy using this. Rugged, versatile and packed with the effects that DigiTech is famous for, the RP360 is a great multi-effects pedal for intermediate-level guitarists. The RP360 includes 126 different effects. These are made up of 74 stompboxes, ranging from the usual distortion, delay and chorus to a variety of unique, interesting sounds. There are also 32 different amp models, as well as 18 simulated speaker cabinets. As you can probably guess from the name, the RP360 connects to your computer via USB for use with the DigiTech Nexus software. Using the USB connection, you can control your sound from your computer, giving you more control over your effects, signal chain and tone. From a build quality perspective, the RP360 is a durable, reliable piece of gear. It’s made using thick, strong metal, with an exterior that’s more than tough enough to tolerate regular gigs. The switches and buttons feel sturdy and reliable, with none of the cheap feel of other pedals. There’s a chromatic tuner included in the RP360, making it easy to keep your guitar tuned in between songs while you’re playing live. The only real downside is the pack of an expression pedal, which would really complete the package. 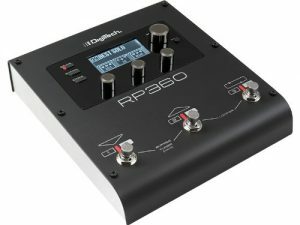 Overall, if you’re looking for a high quality, durable and versatile multi-effects pedal that works just as well live as it does at home, the RP360 is a great buy. Designed and built specifically for bass guitarists, the Boss ME-50B features a huge range of great-sounding bass effects. Effects on the ME-50B are divided into six categories, with separate controls for compression and limiter effects, master controls, filter and tone, drive and synth, delay and modulation, as well as an expression pedal for effects like wah and pitch adjustment. As well as the usual distortion, overdrive, delay, chorus and others, the ME-50B packs in a few unique effects, such as octave up, octave down and bottom boost. Like other Boss multi-effect pedals, the ME-50B is built to a high standard, with a metal exterior that’s more than strong enough for live use. The controls are solid and reliable, with a premium feel that sets this multi-effects pedal apart from cheaper alternatives. 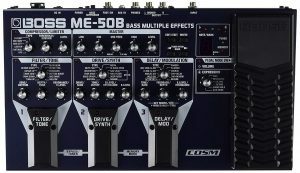 Although its not the most affordable bass multi-effects pedal on the market, the Boss ME-50B is a great buy. The effects are easy to adjust, don’t have the overly digitised sound of lower quality pedals, and the hardware itself is the top quality you’d expect from Boss. The signature pedal of former Poison and Mr. Big guitarist Richie Kotzen, the Tech 21 RK5 is a powerful amp simulator and multi-effects pedal that’s designed with live use in mind. Perfect for hard rock and metal guitarists, the RK5 combines five separate effects in a compact design. There’s a SansAmp tube amplifier emulator, overdrive, reverb, boost and a delay effect styled off a vintage tape echo. As you’d expect from Richie Kotzen’s signature pedal, the RK5 is built primarily for hard rock and metal. 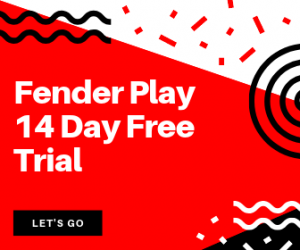 Crank up the overdrive and you’ll get a warm, powerful tone that’s perfect for 80s and early 90s glam metal; turn it down for a smoother rock and blues-inspired tone. The build quality of the RK5 is excellent. The pedal is built entirely from metal, with a light feel and rugged construction quality that makes it easy to use for gigging. It’s also fairly compact, with a design that makes it easy to slide inside your gig bag or install on your pedalboard. All in all, the RK5 is a great alternative to using separate stompboxes as part of your live gear rig, as well as a fantastic studio tool for guitarists interested in emulating Richie Kotzen’s tone. 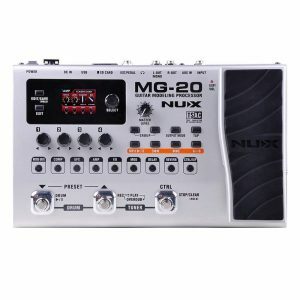 The NUX MG-20 is a guitar modeling processor that’s designed to handle everything from amp simulation to effects. Inside, you’ll find 60 customizable effects, as well as 16 different amplifier and cabinet combinations. From overdrive, distortion, compression and delay to reverb, modulation effects and more, the MG-20 includes everything you need for the recording studio or stage. The effects available all sound natural, with none of the overly digital tone that’s common in cheaper pedals. The MG-20 also includes a built-in chromatic tuner, as well as an MP3/WAV player, letting you play along with your favorite songs. There’s also a USB port for updating the pedal’s software and customizing your tone on your PC, as well as the usual headphone and l/r output jacks. Add extra features like a built-in drum machine, loop station, expression pedal and large TFT LCD screen and the MG-20 stands out from the crowd as a great mid-range effects pedal for intermediate-level guitarists. When buying a multi-effects pedal you’re naturally going to have a lot of questions. And we can review products until we’re blue in the (hands), but there are a few things you need to know. 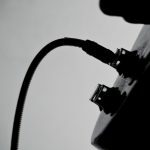 We’ve scoured the internet in search of the most common questions related to multi-effects pedals, to give you a final bit of help in this guide. For any of your questions that haven’t been answered, just leave a comment below and we will get back to you soon! Are multi-effects pedals good for beginners? It’s safe to say that the majority of guitarists start out with multi-effects pedals as their first proper foray into the world of compact effects. As you can see in the guide, multi-effects are often not as expensive as you may think, and in terms of features it’s very easy to see how a guitarist on a limited budget would gravitate towards an all-in-one setup. So, long story short… yes! 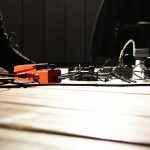 Is building a pedal board better than getting a multi-effects pedal? This is a common question and the answer all comes down to the degree of control you require and the types of effects that you’re looking for. If you’re a beginner, then a multi-effects pedal will give you the tools you need to experiment with the sorts of sounds you’re looking for, so that you can learn how to emulate your favourite guitarists or effects relating to the way you want to play. If you’re a more seasoned or experienced guitarist and are ready to take what many do not realise quite a financial investment into building up a custom pedal board, then more power to you! Custom-built pedal boards allow guitarists to perfect and hone their own sound, using pedals and effects in a way that all-in-one units simply cannot match. So, again, this come down to money and your personal preference. Be warned though…. Once you purchase a stand-alone pedal, you’ll get the buying bug! Whether you’ve got $50 or $500 to spend, the multi-effects pedals listed above make it easy for you to expand your library of guitar effects and enhance your sound, all without having to invest in separate pedals. Want to get the highest quality from your effects? Our guides to the best wah-wah and distortion pedals go into more detail on two of the most popular types of effects pedals available, all with a range of recommendations to help you get the ultimate tone.